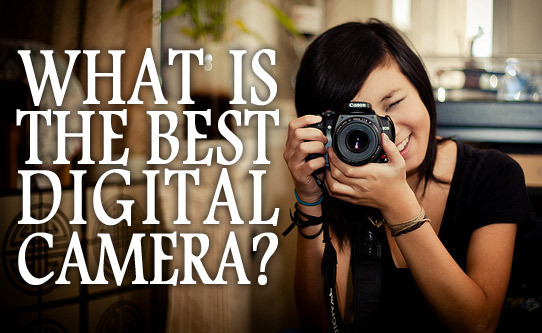 So a common question people ask is, what’s the best camera? That definitely depends on what you want it for. If you only want simple pictures of your vacation, some gatherings, your children playing with their pets and that type of thing so you can share it on your social media and save it to an album, you may want to buy a point-and-shoot camera. And perhaps if you have a good camera in your smartphone, you don’t even need to buy anything else. On the other hand, if you see photography as a potential new hobby or enjoy experimenting with pictures, want more flexibility, and don’t want to spend a lot of your money and time on this, you probably want a bridge camera. Buy a MILC camera if you want to experiment with lenses and want less weight than a DSLR. If you are picky, want to become a professional photographer, or want to get really serious on this hobby, I would suggest a DSLR, even if it is a cheap DSLR at first, because that way whatever lenses you buy, you get to keep them and use them for a new DSLR camera. But be aware that whatever brand you buy, you usually will have to stick to it because many lenses you use for one brand won’t be compatible with another brand. A MILC camera would also be a good option and I don’t be surprised if you hear some who argue that they will end up replacing DSLR cameras. Just remember MILC limitations with its batteries and possible delay time with live view. Whatever you do, I wouldn’t suggest going over the first camera you find, please take a moment to do some thinking about what you want. Or if money is really not an issue, well then you can just buy anything and buy a new one if you change your mind later.